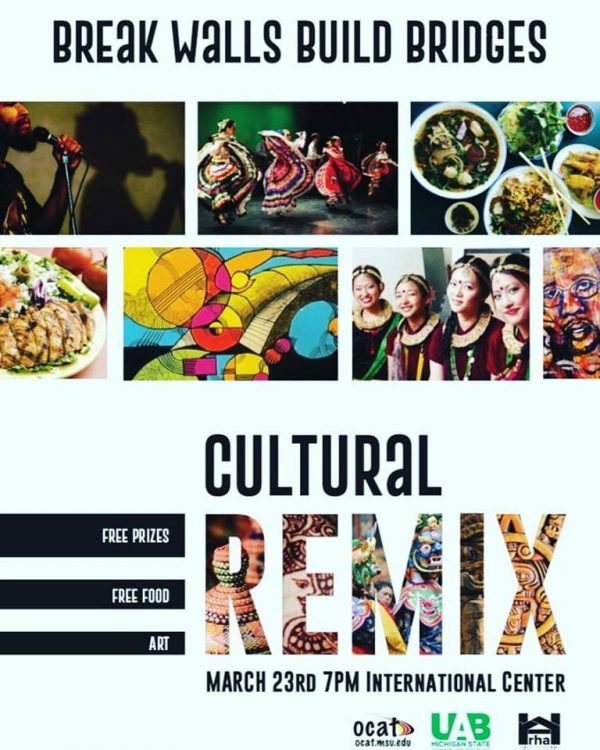 Cultural Remix is the largest end-of-the year cultural celebration. Much like Spartan Remix that takes place in the fall, Cultural Remix is an event where diverse communities from CORES (Council of Racial and Ethnic Students) and various COPS (Council of Progressive Students) organizations come together in celebration and education of their communities with the larger MSU community. CORES is made up of BSA (Black Student Alliance), APASO (Asian Pacific American Student Organization), NAISO (North American Indigenous Student Organization) and CRU (Culturas de las Razas Unidas) and representing COPS are the Coalition of LBGT (Lesbian, Bi-sexual, Gay and Transgender) Students and ISA (International Student Association). The shared vision among student leaders on campus is to create a space in which culture, art, and collaboration can be shared while narratives can be expressed and validated. This upcoming spring we are looking to create just that discourse. With a shared night of cultural expression, building upon various forms of artistic mediums, we can bridge identities and truly become intersectional organizations. For more information, contact OCAT (ocat@msu.edu). 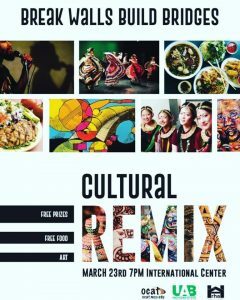 Check out the previous years of Cultural Remix!